There’s little doubt Nokia’s (s NOK) in a tough place right now. It’s losing money hand over fist and struggling to make inroads into the smartphone market. And all this despite producing a new range of pretty good devices. The trouble is, the Finnish handset maker just can’t get back the momentum it lost to Apple (s AAPL), Google (s GOOG) and Samsung over the last few years. So what’s the answer? The solution put forward most often is a buyout by Microsoft (s MSFT) — already the company’s software partner. But reports suggest that although Redmond did take a look at the idea last year, it didn’t like what it saw. Similarly, rumors of a potential buyout by Samsung seem to have been ill-judged. So if a sale is off the agenda, what else is there? Here are five other options that have been suggested as possible paths to redemption. One of the brutal-but-necessary cuts that Stephen Elop made was chopping back the mess of systems and services Nokia was trying to balance. After his burning platform memo laid out the situation ahead of the company, the plug was pulled on MeeGo, and Symbian while not quite dead was put on life support. These days Nokia is shipping just 10 new handset models: six Asha phones running Series 40 and four Lumias. That’s dramatically smaller lineup than in the past, but that’s not enough for everybody. Last year Twitter and Square co-founder Jack Dorsey suggested that Nokia “focus on 3” products in an attempt to bring clarity back to its offering. Nokia: you make too many products. Focus on 3. Slimming down further is tough for a business like Nokia which is used to supplying product at all levels of the market, in many different segments. But it is making more progress down this route, offloading things like the blingy but incompatible Vertu brand. The question is which three products would it focus on? Plenty of people think that while Nokia’s previous strategy was not perfect, it at least had it in control of the full stack: hardware and software. For some that means that there is still a chance that MeeGo, the Linux-based OS that emerged from work done by Nokia, Intel and others. 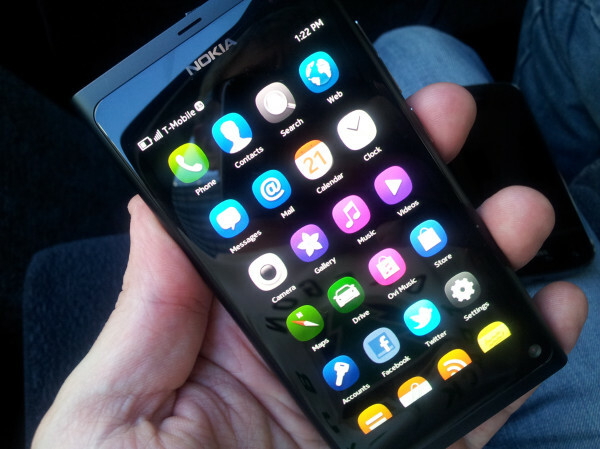 The MeeGo-powered N9, for example, had a lot of fans. A smartphone with out any apps is fairly undesirable these days, so building an app ecosystem will be a major challenge for Jolla. Hurmola only commented that they believe they have the answer to that problem, but it’s difficult to imagine how exactly they will build that support considering that Microsoft is pumping millions into its ecosystem (such as programs like AppCampus), with only fair results. And then there’s Symbian: not yet abandoned by the company, and still being updated to service the millions of existing users out there. If Symbian keeps its head above water, does it become a viable plan B? Nokia has already said in the past that it considered working with Google (s GOOG) but decided against becoming just one of dozens of manufacturers building on Android. And in a situation where it has, that argument makes plenty of sense — after all, why become yet another Android supplier when you can work closely with a software provider (in this case, Microsoft (s MSFT)) in a productive, close relationship? Except here’s the problem, Microsoft is not proving to be the partner Nokia expected: the appearance of Microsoft Surface tablet PC shows its apparent willingness to piss off OEMs, while the decision to make Windows 8 incompatible with previous versions left Nokia having to rapidly discount Lumia handsets. That’s left plenty of people suggesting that maybe Android will be the way to go: from pundits suggesting that “only Android can refloat Nokia’s sinking ship” to the hackers who are trying to make it happen by getting the N9 running Android Jellybean. Like many former Nokia staff, Tomi Ahonen — now a prominent mobile industry analyst — is bullish about the company’s fortunes… if it chooses the right path. But right now, he suggests, what is happening is “carnage”, as the business jettisons its strengths in order to chase. The answer? A change at the top. When Elop took over, in the first full quarter he was in charge, Nokia’s smartphone unit sold 28 million smartphones and had 29% market share. Nokia was twice as big as Apple and three times bigger than Samsung. Nokia’s smartphone unit was growing sales strongly – the year 2010 Nokia had seen bigger growth in units sold of its own smartphones than Apple had with the iPhone! Now the unit sells 10.2 million smartphones, the market share is down to 6%. Nokia has thrown away 4 out of every 5 loyal customers it held only a year and a half ago! Yes, we are witnessing history being made – history of the worst CEO of all time (And it will only get worse in Q3). Pay attention to this, this is the classic case study for MBA’s of the future to study how not to destroy your company, using methods like the Elop Effect. Ahonen’s not alone. Former Nokia exec Lee Williams is another who has ripped into Elop’s management by saying “There’s no overarching vision for this company”, while former Apple and HP (s HPQ) man Jean-Louis Gassée questioned his credentials. “He has zero experience in terms of what makes a smartphone maker tick. And what is his experience in supply chain management? Zero,” he told Computing earlier this month. Elop is at least consistent in his messaging: turning Nokia into a winner will take time and pain. And there were some notes from Thursday’s results that felt maybe, just maybe, like a tiny chink of light. For example the fact that Lumia shipped 4 million units in the last quarter, more than expected. There are caveats: shipping is not the same as selling, expectations were already low, and while 4 million may feel like progress it is really just a drop in the ocean (Apple, by contrast, sold more than 35 million iPhones in its Q2). Meanwhile Evster88 (who accused me of huffing glue) said things were improving. The evidence for that is hard to see. The market, which had an initial small bounce after Thursday’s results, quickly reverted to its gloomy view of Nokia’s future. But Elop is convinced that if he keeps going, it will click. However, even if he is correct there’s another question: whether he’s got the money to keep the company afloat in the meantime. It’s unbelievable that a large enterprise can gamble everything on an unproven, late to the party, new technology as Windows Phone without a plan B ready to take over in case of troubles. Elop has done this and has dismantled the Linux/MeeGo team that could have the expertise to prepare a plan B based on Android. Non one other man would have been able to destroy Nokia in so short time as Elop has done, he has been smarter and faster than Gorbaciov in this area! They should have done an Android device similar to the N9 to see what kind of traction they could have gotten. Nokia is still best. No need to take Android. The one big mistake that Nokia make was to abandon Symbian. Top developers leave Nokia because of this. If the company fully focused on this OS it would be the no. 1 OS. 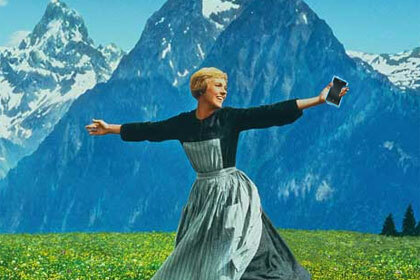 Maybe they could dump Microsoft like a hot snot (not love lost) and hop on the HTML5 bases Firefox OS Band Wagon. While WP7+ in and of itself is an ok OS the problem and stigma attached to it is in the decrepit and uninspiring manufacturer. If you have fanastic engineers/artists that have vision … let them lead. Too many companies today are dying because those that CAN create are being managed by those that can’t. By the time Nokia comes to competitive Level Samsung will be well ahead with their Flexible OLED displays (http://harryminhas.wordpress.com/2012/07/21/samsung-galaxy-s4/). Nokia & RIM had same problems in past. They concentrate on all type of consumers with different handset and designs. What does Jack Dorsey know about manufacturing and selling mobile phones and smartphones. Nokia in 2009 sold about 500.000.000 devices. When companies fail people start to find solutions and think they are smarter, most should keep their mouth shut. a low cost phone is also a dying market. Where do you think the outdated/obsolete smartphones went? To the junkyard? Nope.. to the second-hand/refurb market, which could be had at almost that price range too. Stop focusing on US alone; It is not the entire world. In most places world over, carriers hardly subsidize smart phones. So, those who could afford, go for iPhone because it has become a status symbol and remaining others, wanting to own a smartphone, go for Samsung’s as their price starts from $100. Nokia should start making cheap scaled down version of Windows phone to keep the sale ticking. it would feed the market with positive news and attract developers to build apps for them as well. Samsung’s Galaxy series is the only one actually competing with iPhone in price and specifications. How many of them have been sold? Well over 50 Millions. Compare that to over 200 millions for iPhone. But, it is Samsung that is the largest smart phone maker. And how? More than Nokia, it is Microsoft that has to worry and should invest in marketing its OS. As for Nokia, the journey is bottom-up. Create two or three series based on power and performance, keep innovating and establish a critical mass by volume, initially. Rest will follow suit. Just had to say that was the most clever title I’ve seen in a while. It’s way pass the point of no return. One reason that the “Nokia will buy Microsoft” rumor stays alive is that Stephen Elop, Microsoft’s man on the inside, has successfully drive the price of Nokia down by a factor of four; it’s now a much better deal for Microsoft than it was when Elop joined. And much of what Microsoft would want to see discarded (such as the competing Symbian and Maemo/MeeGo operating systems) has now been discarded. The whole problem is that first we need to see if Windows Phone will make it, before Nokia can do well. They have married Microsoft, for better or for worse. That puts the timeline for Nokia out there at least another year or two before we know if their strategy will pay off. Can they hold on both financially and image-wise, for that long? Android is the only platform.